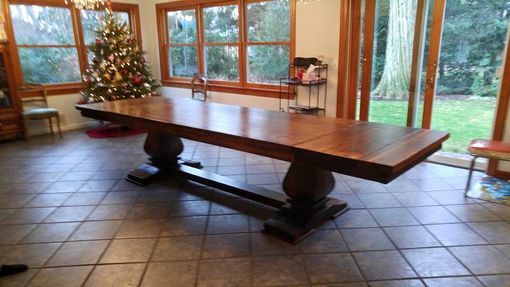 This beauty was made from Reclaimed Barn wood from a Kentucky structure.Solid Douglas Fir timbers originally 11" x16" x 23ft. 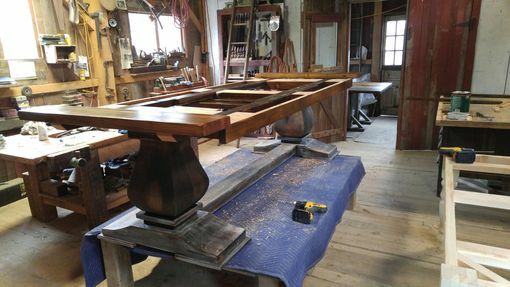 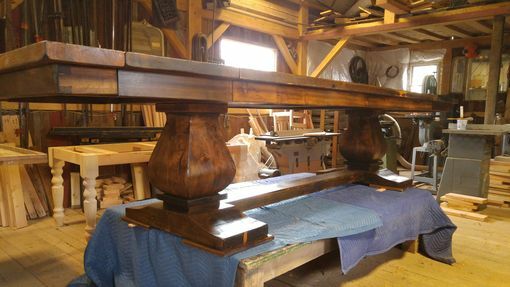 long.Resawn into each specific piece for this table.The top was 2+" thick.The end boards slide out to allow for an 18" leaf to be installed at each end.The vase shaped pedestals are also hand made from solid douglas fir timbers. 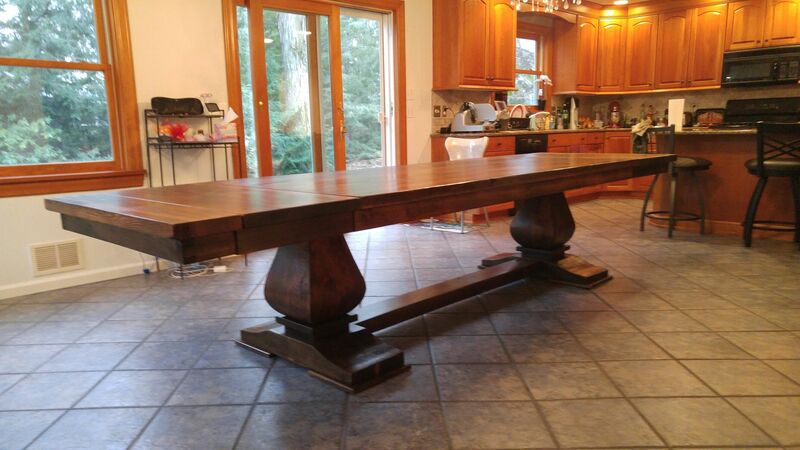 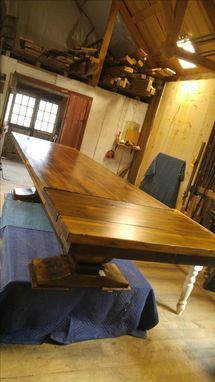 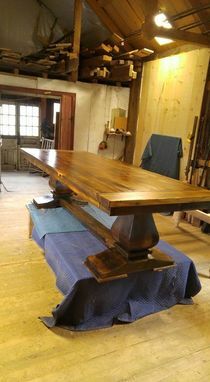 If you want a truely one of a kind table ,hand crafted by me personally to your specific design,let me know.I love making these heirloom quality pieces and will work to earn your trust and exceed your expectations.